In order to increase the income of a business, it’s important not only to find new ways to attract customers, but also to make the existing working methods more efficient. When it comes to businesses that depend of the conversion of their phone calls, the best way to optimize the functionality of the call center is to learn what the customers are looking for, what makes them want to use your service and, last but not least – what doesn’t. A very good way to learn about the ability of your dispatchers to convert potential customers into satisfied and devoted clients is to listen to the phone calls and find out what made the unconverted customers end the conversation. 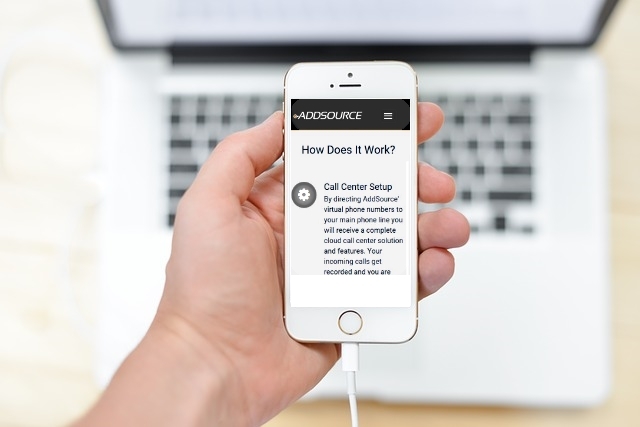 You will be able to do it easily, with the help of the Cloud Call Center service that AddSource provides! In many cases, companies that offer good products or services, lose potential customers that are interested in what they offer, simply because some of their dispatchers don’t know how exactly to present their company to the customers. Just a sentence or a few words that don’t sound clear enough, can make the difference between a successful sale and a fatal misunderstanding. But once the reason for an unsuccessful phone conversation is detected and the dispatcher is notified about it, it will be easier to avoid a similar issue in the future. Although it takes longer to learn from listening to recorded phone calls than from looking at busy and missed calls statistics (which immediately show how well your manpower can handle the pressure), there is a high probability that the effort will pay off on the long run! For any questions about about Cloud Call Center, feel free to contact us anytime!